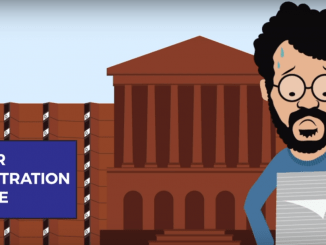 How should one go about voting in an election? This seems quite a bewildering challenge for some voters unless they have already made up their mind on whom or which party to vote. The manifestos of both the major parties are out. In case the promises they are making and their track record of delivering on previous manifestos hasn’t helped you decide, read on. For those still undecided, this article may give you some guidance on making an informed choice. 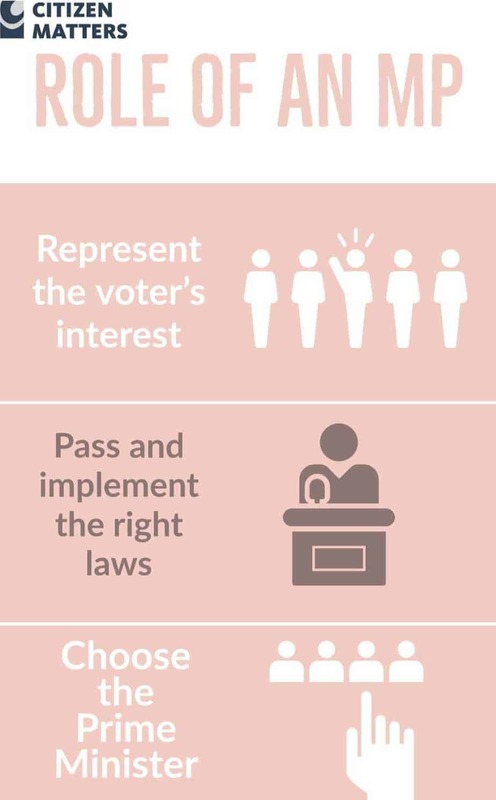 Let us first begin by understanding the role of a Lok Sabha Member of Parliament (MP),the nature of our democracy and finally give you a guide that I use to choose from different contesting candidates. It is often mistakenly assumed that if my Ward Corporator or Member of Legislative Assembly (MLA) fails to deliver on my needs, my Lok Sabha MP will solve my issue. Hence you will often see an MP riddled with a range of civic issues including garbage, sewage and water supply or even state specific subjects. That, however, is really not his job. To understand which elected representative should do what, the distribution of powers is an important starting point. 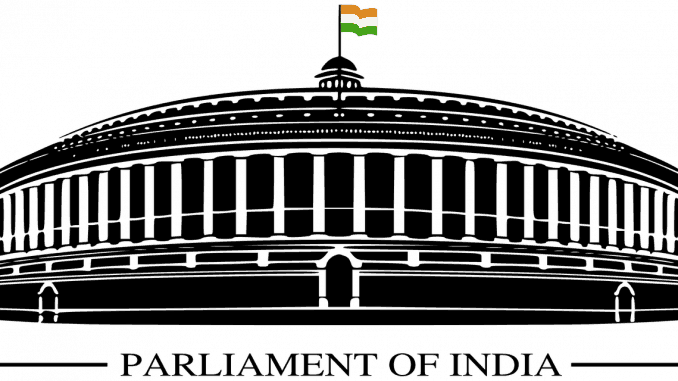 The government in India has a three-tier structure comprised of the Union Government, State Government and the Local Government. 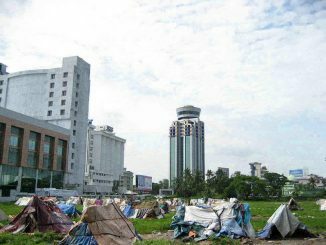 Local Government – The 73rd and 74th Amendments to Indian Constitution in 1993 attempted to devolve as many as 17 functions, funds and functionaries for urban local bodies and 29 functions, funds and functionaries to rural local bodies. In the urban context it included water supply, public streets, regulation of offensive, dangerous or obnoxious trades amongst others. In the rural context the functions devolved related to Agriculture, Land improvement, implementation of land reforms, land consolidation and soil conservation, Animal Husbandry, Dairying and poultry, Fisheries, Minor irrigation, water management and others. 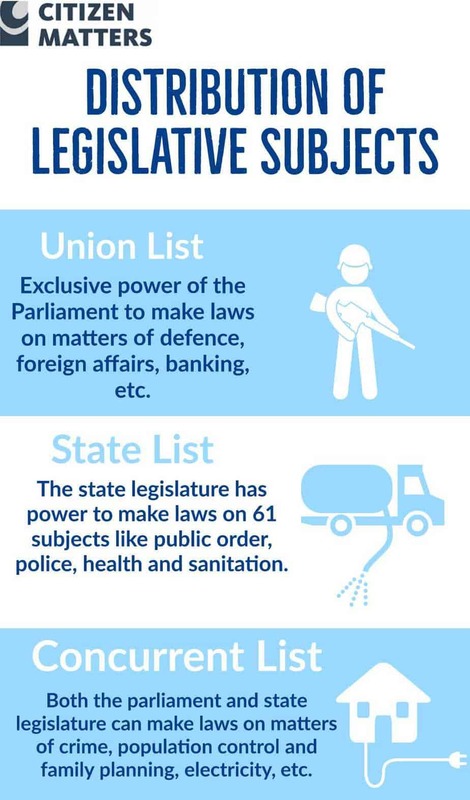 Union List – The Parliament has exclusive powers to make laws on matters in the Union List. This has 100 subjects like defence, banking, foreign affairs, currency, census, audit and so on. State List – The state legislature can make laws with respect to 61 subjects like public order, police, public health and sanitation, local government, and so on. 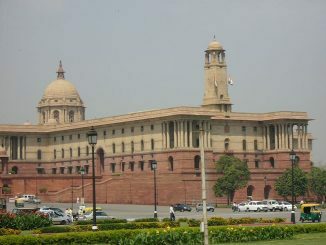 Concurrent List – Both, the Parliament and state legislature can make laws with respect to any of the matters enumerated in the Concurrent List. This list has 52 subjects like criminal law and procedure, civil procedure, marriage and divorce, population control and family planning, electricity and others. Each elected representative may be held accountable for lapses in issues that fall within his purview as delineated above. Hence it is unfair to expect an MP to resolve those issues that squarely fall in a local body or state list subject. 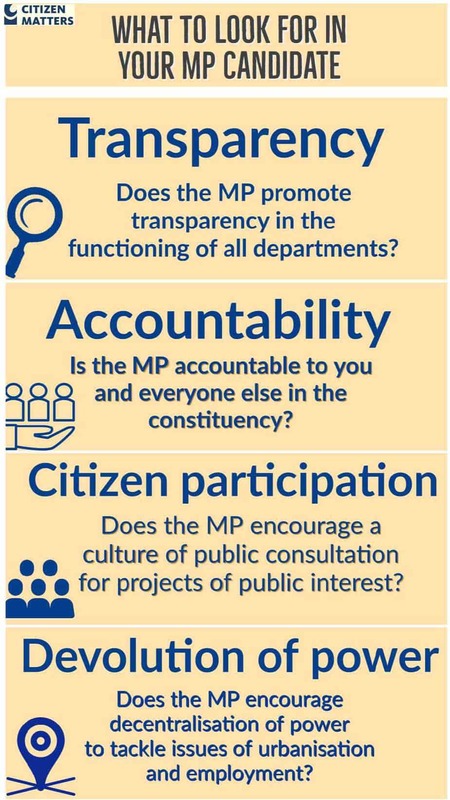 How then do we assess an MP’s performance? You can look at how active the MP has been by comparing the numbers against the national and state averages. Additional details provided include: Nature of membership, Start of Term, End of Term, Number of terms, Constituency, State, Political party, Gender, Educational qualifications, Educational qualifications – details, age etc. Take a look and you might be surprised at some of the top performing MPs in the above. In case your candidate has been an MP earlier, you must check this tracker. The last one formed a coalition government, in spite of having the numbers to form a government alone, as a consequence of a pre-poll alliance. Reality: The primary reason that everyone gets a chance to vote is to ensure that her views and desires are represented well in the parliament. It’s important that your vote goes to the candidate who will “represent your interest” rather than someone else’s. Myth II: Even though X will win here, his party will not end up forming the government. Hence vote for Y. Reality: The effectiveness of a parliamentarian is not too diminished in case her party doesn’t end up forming the government. She needs to be able to ensure that given the parliamentary procedures, she champions your and your fellow electors’ cause with whoever ends up running the government. Even if she is in the winning party, only less than 15 percent of MPs end up being in the Cabinet. Your representative should be able to ceaselessly champion your cause by being on select committees, raise pertinent questions through Zero Hour and Question Hour. She should be able to build large consensus beyond party limitations and ensure that the right laws are passed and their implementation is effective. Myth III: Vote for Z as the Prime Minister. The candidate here is a symbol of the Prime Minister to be. Reality: All our MPs in the Lok Sabha will collectively choose who will end up in the Prime Minister’s seat. There is no way you can leap over the candidate in your constituency and vote for a Prime Minister. Both the leading national parties have been harbouring the delusion that with Z as Prime Ministerial candidate, even a lamp-post if given a ticket will win over any opposing candidate. Considerations like these diminish the competence of our Legislature and thereby impact the kind of laws that get debated and passed in our parliament. This perhaps is the most critical question of the hour. While India undergoes transformation from a ‘developing’ country into a ‘developed’ one, a necessary transformation that should happen alongside is the that of each Indian, from a ‘Subject’ into a ‘Citizen’. Transparency: Although as a citizen you are the paymaster of the government and its employees, you are often given a very opaque interface whenever a service is needed or knowledge of how the government has made a certain decision. In spite of a progressive RTI Act, its implementation has been dismal in India across all levels of Government. Your representative should promote transparency in the functioning of all government departments. Accountability: Our governments have become self serving rather than engaged in serving the interests of the citizens. You will often find many government engagements cumbersome, convoluted and citizen unfriendly. This breeds inefficiency in government interactions as well as corruption. Hence your candidate must have a bias towards you: she must make the government agencies serve your interests and not be stuck in outdated laws and procedures. Those violating this spirit must be held accountable as per the laid-down procedures. If there aren’t enough procedures drawn out, that in itself must be outlined on priority. Citizen Participation: It is often seen that Governments impose ineffective or detrimental projects in attempting to solve a problem. Your representative should have a culture of promoting effective and deliberate public consultations for such projects and win back decision making power for citizens, wresting it from vested interests such as contractors and project promoters. A very good starting point will be the approach your candidate proposes to utilise the MPLAD funds earmarked for your constituency. While MPLAD scheme itself has attracted significant criticism for promoting patronage politics and defying the spirit of the 73rd and 74th amendments, an undesirable vestige of largesse providing mindset, given that it exists, this can be a useful test case to understand the candidate’s thinking. The expenditure reports of existing members can be obtained here. Devolution of Powers: Much of India’s challenges including those of urbanisation and employment may be solved better through devolution of powers to the lowest appropriate government. Centralising the programmes or schemes to be delivered by state or local governments is against the letter and spirit of the constitution. This way you will eventually ensure democracy begins to respond to varied local aspirations rather than keep endlessly waiting for the “big person above” to respond to your need. Our Unity in Diversity can only be celebrated when our law and policy making starts to benefit from the diverse perspectives of voters across India. Hence our representative in Parliament should be able to bridge this gap. Ensure you gauge your representative’s commitment to 73rd and 74th Amendment as well as principles of cooperative federalism. The trend to centralise functions of state governments and local bodies must be reversed and immediately. I do hope this will help you evaluate your options. Don’t forget to analyse your candidate’s promises and their election affidavit declarations available on the site of the Election Commission of India. These help you understand the educational, financial and criminal antecedents of any of your wannabe MPs. Do head to the election booth on the day of the election and ensure that you cast your vote. There’s no better way to ensure a better future than to begin by voting for the right representative. While we expect distinction from our children, it’s time we achieved distinction in voting percentages too in our respective constituencies.